The Toronto Marlies rallied from a two-goal deficit to take Game 1 of the Calder Cup Finals series, beating the Texas Stars 6-5 on Saturday afternoon. Six different goal scorers found the net for the Marlies, including Trevor Moore who notched the game-winner at 10:03 of the third period. Toronto, the Eastern Conference champions, looked rusty following a seven-day break between games, having swept Lehigh Valley in the previous series. The sluggishness was evident in the first period during which the Marlies surrendered a pair of power play goals to Texas’s Travis Morin and Curtis McKenzie. In between the Stars’ tallies, Justin Holl scored a strange goal with a shot from the corner that deflected off Texas goalie Mike McKenna into the net. In the second period Frederik Gauthier evened the score at two apiece, converting a setup from Colin Greening from behind the net. But just 28 seconds later, Texas regained the lead courtesy of Austin Fyten. Morin then fired a one-timer past Garret Sparks – the forward’s second goal of the afternoon – to put the Stars up by a pair. The turning point in the game occurred with 15 seconds left in the middle frame. 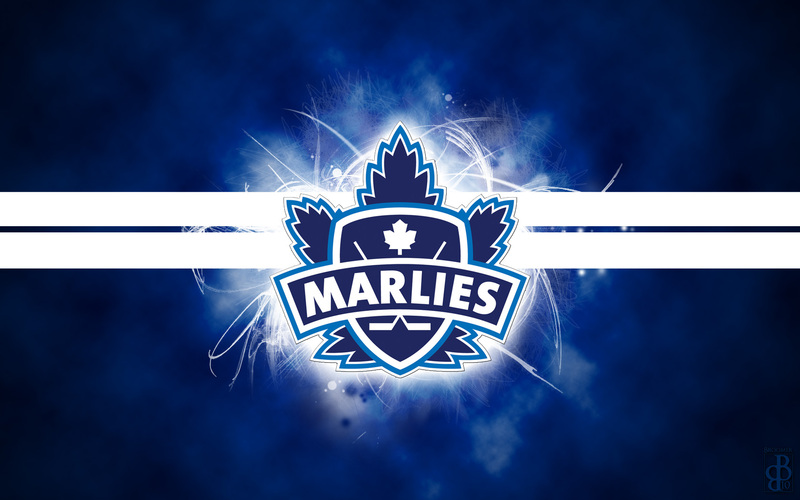 Ben Smith’s centring pass from the left-wing boards on a seemingly harmless play was deflected by linemate Chris Mueller to get the Marlies to within a goal. The late score sparked coach Sheldon Keefe’s squad. At 2:46 of the third period, Mason Marchment unleashed a wrist shot from the slot that eluded McKenna to knot the game once again. An unlikely source gave the Marlies their first lead of the game. Defenceman Martin Marincin found himself alone at the edge of the crease after accepting a pass fro Dmytro Timashov. The blueliner patiently outwaited McKenna before lifting a backhander, top shelf, for his first-ever Marlies playoff goal, and only the second tally of his post-season career. Undaunted, the Stars responded just one minute, 15 seconds later when Justin Dowling undressed the Marlies’ defence. The stage was set for the game-clinching heroics. On a Marlies power play, Moore went to the bench for a replacement stick, jumped back into the play and hollered for the puck, uncovered due to the man advantage. Moore made no mistake in depositing his fifth goal of the playoffs, sealing an eventual win for his team. On a day when the Marlies’ top line of Carl Grundstrom, Miro Aatonen and Andreas Johnsson was held off the scoresheet, the team nevertheless found a way to win, a testament to the depth of its forward lines. The game was played before a sellout crowd of 8,127 fans at Ricoh Coliseum.